Ann Romney married her CK high school sweetheart, Mitt Romney, former Governor of Massachusetts and presidential nominee. Ann has been involved in a number of children's charities, including having been a director of the inner city-oriented Best Friends, which seeks to assist inner-city adolescent girls. She advocated a celibacy-based approach to the prevention of teen pregnancy. She worked extensively with the Ten Point Coalition in Boston and with other groups that promoted better safety and opportunities for urban youths. She was an honorary board member of Families First, a parent education program in Cambridge, Massachusetts. She was a volunteer instructor of middle school girls at the multicultural Mother Caroline Academy in Boston. She has said her interest in helping underprivileged children dates back to when she and her five boys saw a vehicle carrying a group of boys to a Massachusetts Department of Youth Services detention center. She began volunteering for the United Way of Massachusetts Bay soon after that, and by 2002 was serving as one of that organization's board members. She was on the Faith in Action Committee for the United Way, working with local religious establishments to assist at-risk children and helping to found United Way Faith and Action. Earlier, by 1996, she was a member of the Massachusetts Advisory Board of Stand for Children. During the 2002 Winter Olympics effort, she co-chaired the Olympic Aid charity, which provides athletic activities and programs for children in war-torn regions. IJjust before Thanksgiving in 1998, Ann was diagnosed with multiple sclerosis. 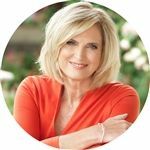 In 2014, the Ann Romney Center for Neurological Diseases was opened at the Brigham and Women's Hospital in Boston. With a fundraising goal of $50 million, the center was created to focus on research into Alzheimer's disease, multiple sclerosis, Amyotrophic lateral sclerosis, Parkinson's disease, and brain tumors. The center has some 250 scientists and researchers on its staff. She gives inspirational talks based on overcoming the challenges of living with a disease. In March 2015, her book Whatever You Choose to Be: 8 Tips for the Road Ahead was published, based upon a commencement address she gave the year before at Southern Utah University. This was followed in September 2015 when her memoir In This Together: My Story was published. In it she discussed her diagnosis of multiple sclerosis, the different treatments she found beneficial, and the important role her family played. The book became popular among those afflicted with the disease.